We can learn from this generation’s successes and failures—and use that knowledge to rebuild. How Did America's Social Contract Come Undone? In the wake of the 2016 presidential election, The New York Times chose George Packer’s The Unwinding as a key book “To Help You Understand Trump’s Win.” Now, years after this flash point, Packer’s notion of ‘unwinding’—the rise of populism, institutional collapse, and the unraveling of the American Dream—is more bracingly relevant than ever. In talks drawn from his lucid yet optimistic reporting, Packer offers a deeply informative perspective for anyone seeking to comprehend the political and cultural forces making the country what it is today. Currently a staff writer with The Atlantic, and formerly a staff writer at The New Yorker, George Packer’s National Book Award-winning The Unwinding: An Inner History of the New America, was called “a gripping narrative survey of contemporary America” by The New York Times Book Review, and a “professional work of journalism that also happens to be more intimate and textured—and certainly more ambitious—than most contemporary works of U.S. fiction dare to be” by The Los Angeles Times. Following up his National Book Award win for The Unwinding, Packer will publish Our Man: Richard Holbrooke and the End of the American Century. His talks draw on a vast and varied knowledge of America throughtout history, showing why things happened the way they did, and what we can all do to help create a more equitable nation when so much infrastructre and fair guidance is lacking. Packer has published four other works of non-fiction: The Assassins’ Gate: America in Iraq; Interesting Times: Writings from a Turbulent Decade; Blood of the Liberals; and The Village of Waiting. He is also the author of two novels, The Half Man and Central Square, and a play, Betrayed. He is the editor of The Fight Is for Democracy: Winning the War of Ideas in America and the World, and of a two-volume edition of George Orwell’s essays. He has been a Guggenheim Fellow and a Holtzbrinck Fellow at the American Academy in Berlin. Why is America in danger of coming apart at the seams? Why are elites no longer elite, institutions no longer functioning, and ordinary people left to improvise their own schemes for success? 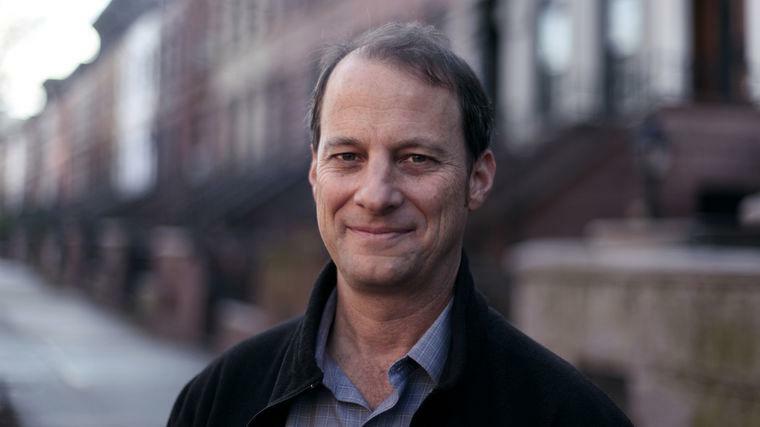 George Packer, author of New York Times bestseller and National Book Award finalist The Unwinding: An Inner History of the New America, creates an intimate, documentary-style portrait of America today. He maintains that there’s been an undoing of the deal that used to exist between Americans: if you work hard and do your part, there will be a place for you and your children in the nation. In the last generation, this has begun to come apart. More and more people now feel they have to go their own way: for some people this has been a good thing, for others it’s been destabilizing and even devastating. Drawing from extensive research and first-hand “method” investigation, Packer weaves together stories from America’s centers of power and its forgotten places. He takes audiences on a journey through the lives of several Americans, including Dean Price, the son of tobacco farmers, who becomes an evangelist for a new economy in the rural South; Tammy Thomas, a factory worker in the Rust Belt trying to survive the collapse of her city; and Jeff Connaughton, a Washington insider oscillating between political idealism and the lure of organized money. And, he warns audiences that we are getting closer to the America of The Great Gatsby—of life lived through the people at the top, through celebrities and their stories. What is the future of our fractured, collapsing nation? What can we learn from this generation’s successes and failures? Packer presents a profoundly moving and utterly original perspective on what it feels like to be alive and in America at this moment. An Unwinding American Dream: George Packer On Living In The U.S.A.
Review: The Unwinding By George Packer Is The "Defining Book Of Our Time"